I was heading back to my car when these two brush rabbits appeared on the trail ahead of me. 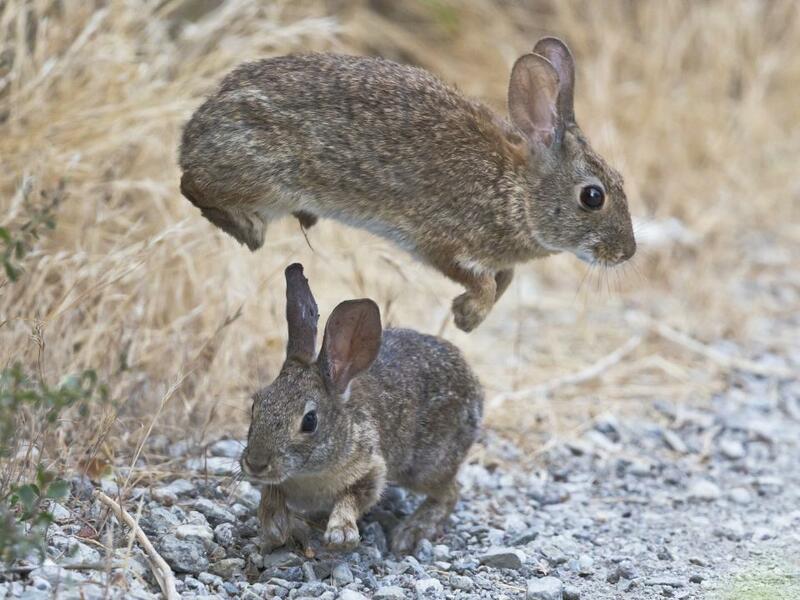 Now I don’t know whether it was part of some courtship ritual, or whether they were just having fun, but it was entertaining to watch one brush rabbit repeatedly leap over the other. I photographed this image with a Canon EOS 5D Mark III, Canon 500mm f4L, Canon 1.4x extender, f/5.6, 1/2000 second, 3200 ISO.